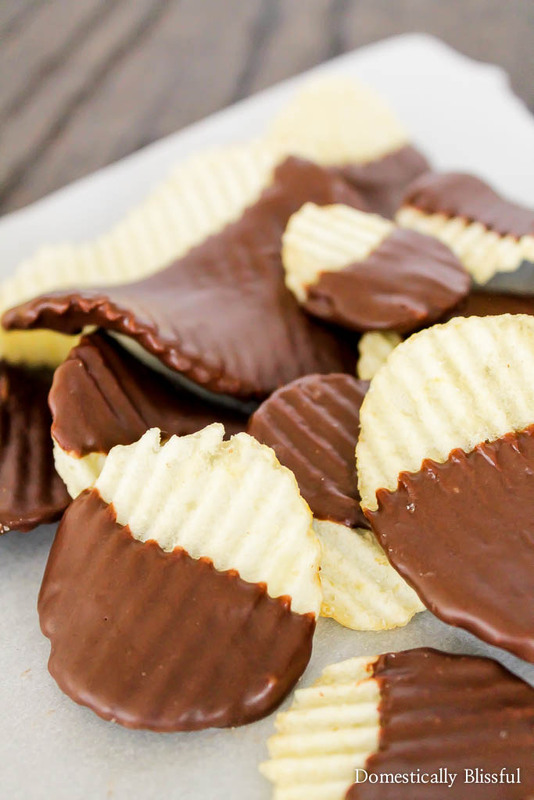 Dark Chocolate Potato Chips are the perfect guilty pleasure snack for those who want something sweet, salty, & covered in dark chocolate! 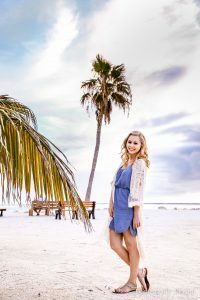 I know this isn’t much of a recipe… But it’s SO good!! 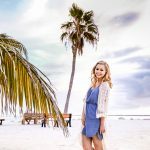 I thought about just sharing a picture on Instagram, but then decided it deserved a post of it’s own. 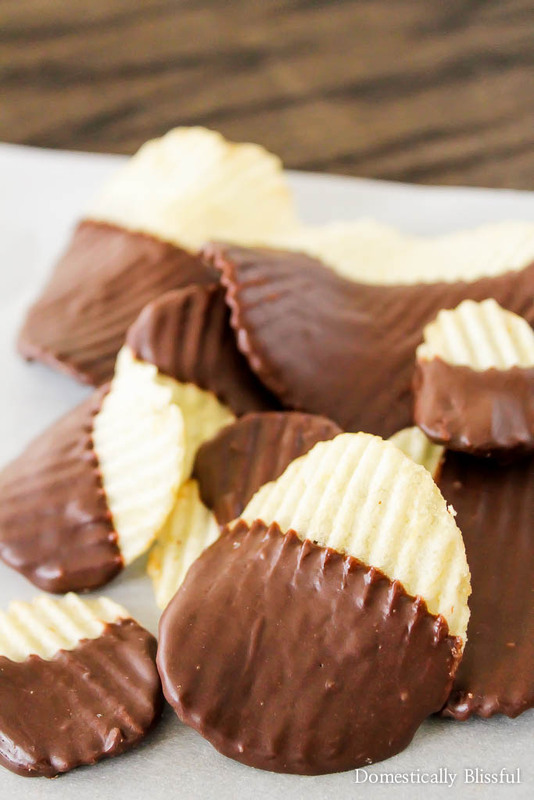 I first saw chocolate covered potato chips while working at a Christian camp in Michigan. There was a local coffee shop called Thanks a Latte that my friends & I loved to hang out at, but whose prices were a little up there. So on the special occasions that I did buy coffee I would admire all the pastries, sweets, & special treats they had in their little shop. I often gazed longingly at their chocolate potato chips, but never bought any. Luckily they are super easy to make! Now I know these Dark Chocolate Potatoes Chips aren’t the healthiest thing I have ever shared on Domestically Blissful, but they say dark chocolate is good for you. That should count for something, right? Plus, I noticed that because they are so decadent I only eat about 5 or 6 before putting them away. So since I have shown some restraint I think I can justify making these anytime I want. Or at least that’s what I’m going to say if anyone asks. 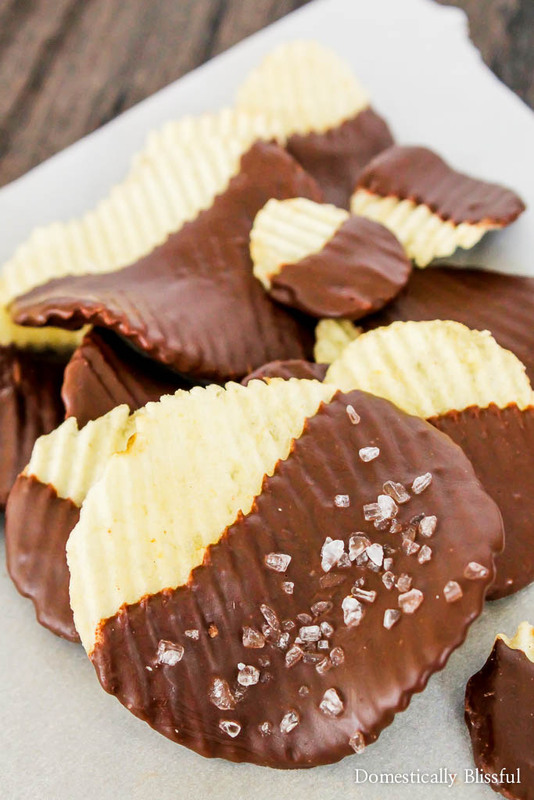 But seriously, you haven’t truly enjoyed potato chips until you have dipped them in dark chocolate. It’s like a whole new level of guilty pleasure that shouldn’t be ignored. 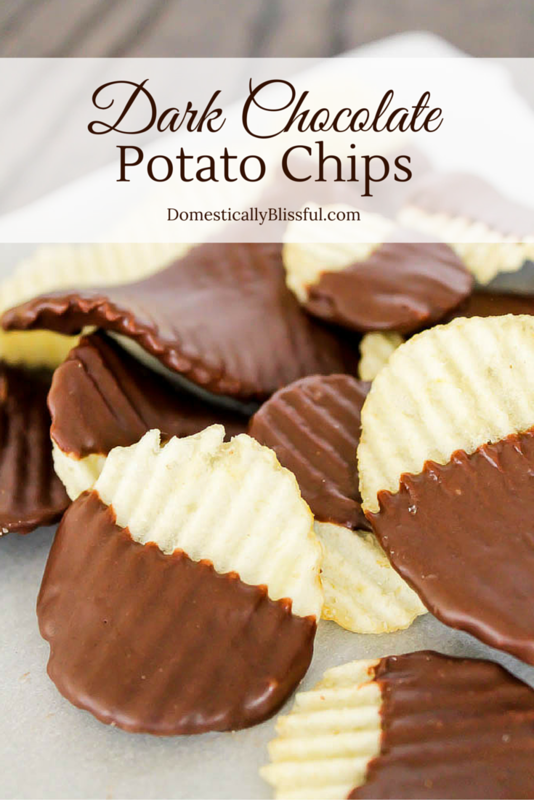 The bitter sweet dark chocolate combined with the salty crisp potato chip make these Dark Chocolate Potato Chips incredibly delicious & very addicting. First, melt the dark chocolate melting wafers according to their packaging directions. 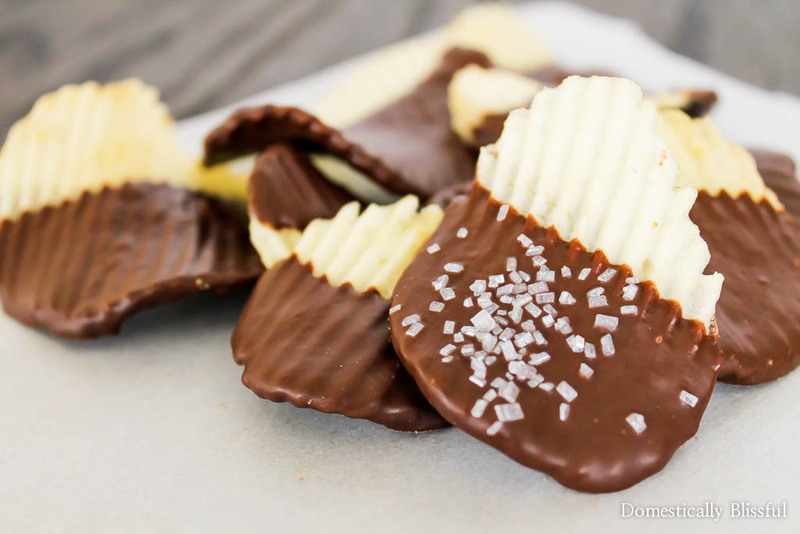 Then dip each potato chip in melted dark chocolate, add salt or sprinkles if desired, & place it on a pan lined with parchment paper to dry. Once dry, sit, relax, & enjoy your new favorite snack! I use Ghirardelli Dark Chocolate Melting Wafers. 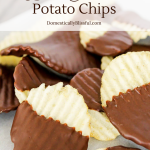 I’d love to see your Dark Chocolate Potato Chips! Nothing better than a salty & sugary snack!